Aquinas and St. Mary’s has a wonderful volunteer program that vitally support the school in many ways, made up of the committed families and friends that support our schools. St. Mary’s volunteers help in the office, library, and classrooms. They perform duties such as helping with mailing packets, filing books, flashcards, reading math, one-on-one mentoring with students, and doing take home work. Please contact the office at (402) 367-3669 if you would like to be part of the St. Mary’s volunteer program. 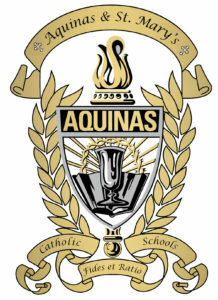 The Aquinas volunteer program has supported the school since the doors opened, over 50 years ago. Today, the volunteers help in the Media Center and Office to keep our school running smoothly. They perform duties such as answering the phone, assisting students, help with monthly mailings, and checking out and shelving books. We are very fortunate to have so many dedicated people who support our school through volunteerism. Please contact the office at (402) 367-3175 if you would like to be part of Aquinas’ volunteer program. Thank you, volunteers for all that you do for Aquinas & St. Mary’s Catholic Schools!